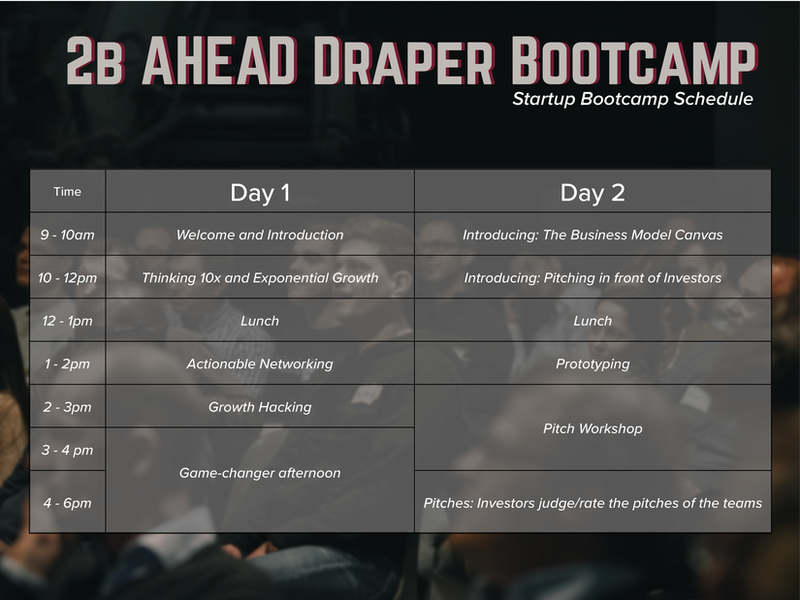 It's finally time again: 2b AHEAD Ventures and Draper University are inviting the most ambitious prospective founders, and those who already are, to the 2b AHEAD Draper Bootcamp on 21 and 22 May 2019. On two days we will give 100 entrepreneurs an insight into Silicon Valley ways of thinking and strategies. For this occasion especially, we are inviting a team of experienced coaches and investors from Silicon Valley. 2b AHEAD Ventures is the German cooperation partner of Draper University. Tim Draper is a billionaire and one of the best known VC investors in the USA. With his funds he has invested in Baidu, Tesla, Skype and hundreds more startups. With the goal of teaching entrepreneurship in a completely new way, he founded Draper University in 2012 with a unique curriculum for young entrepreneurs, founders, executives and investors. In the city of San Meteo in Silicon Valley, a small campus was established called "Herocity". The cooperation with Draper offers the 2b AHEAD startups the opportunity to focus on the American market at an early stage and to obtain significant follow-up financing after the seed phase. The Bootcamp is aimed at existing startups as well as prospective founders who would like to set up a business in the future. Participants will learn how to quickly validate ideas using the Lean Startup Method and Design Thinking and how to develop their own prototypes even with limited technical knowledge. In addition, the participants will learn which key factors are decisive for the growth of their start-up. In doing so, they will deal intensively with financing, contact with potential customers and the further development of products. From the experienced Silicon Valley investors, the participants also learn how to build a network with a corresponding reach. 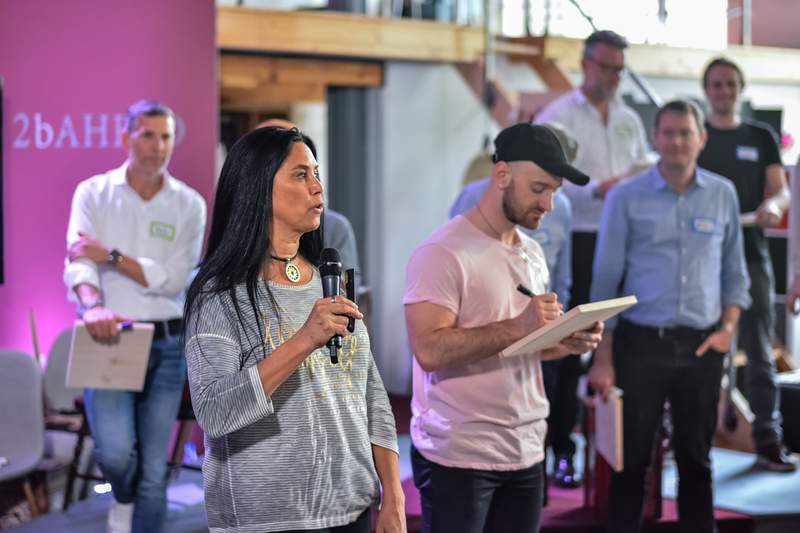 At the end of the Bootcamp, the entrepreneurs will pitch in front of a jury of experts with the support of the coaches and receive valuable feedback. The Bootcamp will take place on 21. & 22. May all day long in the premises of 2b AHEAD in the Spinnereistr. 7, 04179 Leipzig. The participation is free of charge. You can still apply for a spot in the waiting list HERE. Due to our American speakers, the event will be held in English. Here you still apply for a spot in the waiting list: Registration form. 2b AHEAD Ventures is a Leipzig-based incubator that turns the future forecasts of the 2b AHEAD ThinkTank into business models and start-ups.